Like a lot of people I was initially shocked by the recent £24 billion takeover of ARM by Softbank of Japan. Not only was it the biggest acquisition ever of a European IT company, but it was also widely seen as the jewel in the crown of the Cambridge/UK tech scene. A few years ago Cambridge had three stock market listed companies worth over a billion pounds each – ARM, Autonomy and Cambridge Silicon Radio (CSR). All have now been acquired, with varying degrees of success – HP, Autonomy’s purchaser is still suing the previous management about alleged overstating of accounts. At the same time a large number of the next tier of Cambridge companies, such as Jagex, cr360 and Domino Printing Sciences, have also been bought, leaving many people wondering where the next tech superstar will come from. This is particularly true as an increasing number of earlier stage businesses in exciting markets have been acquired by tech giants – Internet of Things startup Neul was bought by Huawei, Evi by Amazon and Phonetic Arts by Google. And that’s just the acquisitions that were announced. I’m sure that in many cases promising technology has been snapped up without making it into the press, as the deal size has been relatively small. So, as someone involved in the Cambridge tech scene, should we be worried? Is Silicon Fen going to turn into an offshoot of Silicon Valley – a bit like the tech towns around Heathrow, but with a bit more IP? Thinking about it more rationally, there are two main reasons for the flurry of acquisitions, particularly of smaller businesses. All of these acquisitions are actually recognition of the strength of the Cambridge tech sector. Big companies are attracted to the area because of the talent and innovation on show, and are increasingly willing to take a punt on earlier stage businesses to get in first and lay their hands on new technology and IP. They’ve realised that not every acquisition will work, but that the wins should outweigh the losses. So, Cambridge’s PR has worked in attracting the largest tech companies to the area. Traditionally, a lot of Cambridge startups were built on biotech, science and engineering, either from the University or the innovative consultancies that differentiate the city from many other clusters. As Cambridge grows, a greater number of companies are software-based, which means that developing their technology is faster than when trying to commercialise a product from an interesting piece of lab research. Therefore, they are likely to have a steeper growth curve, and potentially a shorter lifespan as they reach maturity (and acquisition) quicker. A further reason for optimism is given by the new Cambridge Cluster Map, which lists the nearly 22,000 businesses based within 20 miles of the city centre. With a turnover of £33 billion, the map demonstrates the range of companies and the strength of the local economy. A third of this turnover is made up of knowledge-intensive businesses, employing nearly 60,000 people. That’s a lot of innovation, whoever ultimately owns the companies concerned. Looking back, I think commentators will see that the ARM acquisition is part of a change in Cambridge as it matures and becomes a recognised part of the global tech sector. The economy will continue to grow, but more of the capital will come from outside the city. While this means we will have fewer ARMs and CSRs, and more outposts of Amazon, Apple and Google, it won’t stop growth and innovation, which means the Cambridge Phenomenon is likely to go from strength to strength. Countries and cities across the world are busily trying to build tech clusters. Partly this is due to the sexiness of tech (expect the UK election to feature plenty of photo opportunities of candidates with startups), partly down to the fact that it seems easy to do, and a lot to do with the benefits it delivers to a local economy. In an era where technology is radically changing how we work, play and live, high value tech companies are always going to be prized. Given the longstanding competition between the two cities, it is easy for people in Cambridge to sit back smugly, pat each other on the back and congratulate themselves on a job well done. However, a better course of action is to take a look at what is behind Cambridge’s success, and see what can be done to improve things. After all, there are startup and tech clusters around the world – competition is global – so there’s nothing to stop entrepreneurs setting up in Silicon Valley, Munich, Paris or London rather than Cambridge. The first thing you need to build any business is obviously a good idea. Universities, particularly those involved in scientific research such as Oxford and Cambridge have plenty of these. But you need a specific type of person to be involved with the research – with a mindset that goes beyond academia and understands how a breakthrough idea can be turned into a viable business. You then need to be able to access the right skills to develop the idea technically, whether through commercial research or programming. This is where Cambridge scores highly in being able to commercialise discoveries, through a long-established support infrastructure. The Cambridge Science Park opened in the 1970s, while the University has put in place teams to help researchers turn their ideas into businesses. Research-led consultancies, such as Cambridge Consultants, provide another outlet to develop ideas, as well as helping to keep bright graduates in the city. There is also a full range of experienced lawyers, PR people, accountants and other key support businesses to help companies form and grow. Obviously without money no idea is going to make it off the drawing board. 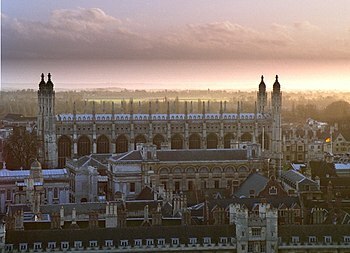 Cambridge has attracted investment from local and international venture capital, and has a thriving group of angel investors, who can share their experiences as well as their funding. Due to the length of time Silicon Fen has been operating, investment has been recycled, with successful exits fuelling new startups that then have the opportunity to grow. Cambridge is a small city, and the combination of its green belt, lack of post-industrial brownfield sites and an historic centre owned by colleges, puts a huge pressure on housing stocks. As anyone that lives in Cambridge knows, house prices are not far shy of London – but spare a thought for Oxford residents. In 2014 an Oxford home costs 11.3 times average local earnings, nearly double the British norm of 5.8 times. Additionally, as The Economist points out, there is space outside the Cambridge greenbelt for people to build on, with South Cambridgeshire Council, which surrounds the city, understanding the importance of helping the local economy. In contrast, Oxford has four different district councils, and a powerful lobby of wealthy residents who want to keep their countryside pristine, hampering housing development. That’s not to say that Cambridge is perfect, far from it. More can be done to improve transport links to reduce commuting time and to spread the benefits of Cambridge’s economic success. Ultimately tech clusters are judged by the success of the companies they produce. And Cambridge, partly due to the longevity of the cluster, has created multiple billion dollar businesses, from ARM to Cambridge Silicon Radio. This not only puts the area on the map for investors, but attracts entrepreneurs who want to tap into talent and spawns new businesses as staff move on and set up on their own. You therefore see sub-clusters in particular areas of tech develop as specialists use their knowledge to solve different problems. This then further strengthens the ecosystem. Tech clusters are slow to build and can’t be simply willed into existence by governments opening their wallets. They need patience, a full range of skills and co-operation across the ecosystem if they are to grow and flourish – as the relative fortunes of Cambridge and Oxford show. Will Apple take a bite out of Cambridge? Rumours are currently rife that Apple is about to open an office, albeit a small one, in Cambridge. The research and development centre would initially employ 20 people, so while it is a coup for the city, it is obviously a drop in the ocean compared to the estimated 54,000 tech employees in Silicon Fen. I’d imagine more people currently work in the electronics department of the city’s John Lewis selling iPads and iPods. The move comes on the back of Qualcomm buying CSR, HP acquiring Autonomy and the opening of research and development centres by Microsoft and AstraZeneca in the area. Taken together these investments can be seen as a real demonstration of the importance of the ideas and skills within Cambridge – and, the potential benefits (business and PR) of associating with the Cambridge Phenomenon. However, I think there are positive and negative sides to the interest from tech giants in Cambridge. On the plus side, it reaffirms the city’s strengths as a hub, attracts more skilled staff to the area and, in turn, spawns new startups as employees with ideas leave corporate life to launch out on their own. But there are also two downsides that potentially impact the good news stories. Firstly, there is a risk that with big investment the tech culture can become too corporate. After all, a lot of Cambridge innovation has come from finding solutions to problems in quirky, very different ways. For example, Intel wouldn’t sell Acorn chips for its new range of computers. The company couldn’t afford to build a billion dollar factory to make its own chips, so came up with the first fabless design. Acorn spun off this knowledge as ARM, now Intel’s biggest competitor. Before that Clive Sinclair built a scientific calculator that used clever algorithms to run calculations on a single, relatively standard chip. Rivals such as HP used five chips and consequently built machines that were much more expensive. The SureFlap microchip controlled cat flap was created by a physicist who didn’t want neighbourhood moggies invading his house. All of these are examples of the lateral thinking that Cambridge is famous for – but could potentially be stifled by corporate politics (and, ironically too much money). However I think that while the Cambridge culture may change, it won’t unduly impact its DNA. After all, in Silicon Valley enormous behemoths and nimble startups co-exist with people moving between the two. What is more serious is the second threat of a lack of infrastructure, particularly affordable housing within the city and its locality. It is currently as expensive to live in Cambridge as in London, but with less in the way of facilities. There are plans to build 33,000 more houses by 2031, but the majority are outside the city. And if people live further out and commute by car, rather than bike, it will add to congestion and put further strain on key roads. Obviously Apple’s 20 researchers aren’t going to add too greatly to current housing woes, but as Silicon Fen grows, now is the time to address infrastructure concerns – or risk losing the city’s status as a tech hub to better equipped rivals. Cambridge is rightly highlighted as one of Europe’s biggest innovation hubs, particularly when it comes to commercialising ideas that began in the research lab. This has spawned a huge biotech sector, and helped create a series of billion dollar tech companies that lead their industries, such as ARM and Cambridge Silicon Radio (CSR). The Internet of Things (IoT) has been identified by many commentators as a key emerging market – and one where Cambridge has the ecosystem, experience and ideas to play a major role. So the news that IoT pioneer Neul has been sold to Chinese telecoms equipment behemoth Huawei depressed me. Not for nationalistic reasons, but simply due to the low reported purchase price ($25m) and the fact that the company has cashed out so early in the growth process. While there was a fair amount of PR spin around Neul’s progress to date, I genuinely believed it could join the billion dollar Cambridge club by developing its technology and building alliances and routes to market. At the same time, Cambridge Silicon Radio is mulling a multi-billion pound sale to US firm Microchip Technology, reducing the number of major, independent, quoted Cambridge companies. Obviously investors and founders do look to realise their profits at some point, but it is important to balance this by looking longer term. While those that put money into Neul no doubt got a decent return, think how much more they’d have received if the company had been allowed to grow and exploit its market position. I’m not alone in taking this stance. Cambridge Innovation Capital (CIC), the University of Cambridge-backed VC fund, recently warned its portfolio companies against selling out too early and promised to provide long term, founder friendly, capital to help grow the next ARMs and CSRs. So what we need is the support, both financial and in terms of time, that gives companies the ability to achieve their potential. Not all of them will make it, and many will be niche players that logically fit better within bigger companies – but at least they’ll have had the ability to aim for the stars before finding their real place in the world. Otherwise Cambridge (and other parts of the UK tech scene), will simply act as incubators that turn bright ideas into viable businesses that can be snapped up and digested by tech giants looking for the newest innovation. It is much better for both the local and national economy that some of these startups make it the stock market as fully fledged businesses, creating ecosystems that generate new sectors and jobs. This requires longer term thinking from everyone involved – otherwise the number of billion dollar Cambridge companies will shrink even further.